Fort Hunter Liggett (FHL), CA. is the largest U.S. Army Reserve Command post with over 165,000 acres. FHL is located in Monterey County, in the central coast of California, 150 miles south of San Francisco and 250 miles north of Los Angeles. The installation is bounded on the north by the Salinas Valley, on the east by the foothills of the Santa Lucia Mountains, on the south by the Monterey/San Luis Obispo county line and on the west by approximately 55 miles of Los Padres National Forest. In the summer months daytime temperatures may be 100 degrees or higher but soon after sunset, temperature drops rapidly and the nights are cool and pleasant. Winter temperatures are cool and frost is not uncommon. The rainy season usually is between December and February when the average annual 21 inch rainfall is expected to fall. Fort Hunter Liggett has been an active Army installation since 1940 when the US Government purchased the land from publishing magnate William Randolph Hearst, Jr. and neighboring landowners. 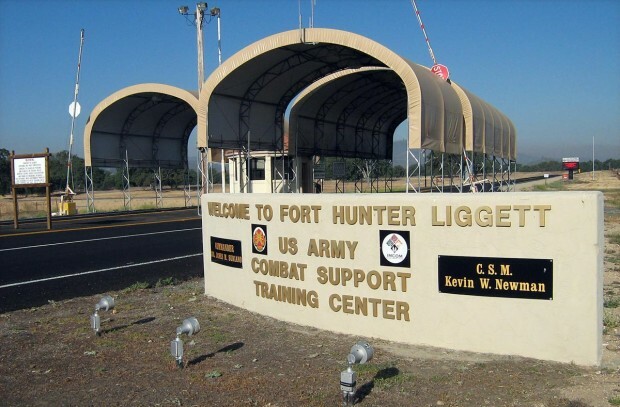 Originally designated Hunter Liggett Military Reservation in 1941, the installation is named for Lieutenant General Hunter Liggett (1857 – 1935). General Hunter Liggett commanded the 41st National Guard Division, and later, the First Corps of the American Expeditionary Forces during World War 1. He also served as Chief of Staff for General Pershing. In 1975, the reservation was redesignated Fort Hunter Liggett Military Installation. Until 1952, fort administration was under Camp Roberts authority; and, it was a sub-installation of Fort Ord until November 1993 when the installation came under United States Army Reserve Command. Fort Hunter Liggett now, as a sub-installation of Fort McCoy, WI, is operated primarily as the Army Reserve Command Western Reserve Training Center serving Active and Reserve components. At present, the installation encompasses approximately 165,000 acres. No listings found for Fort Hunter Liggett.